OUR PRICE: $40.15 - Join Rewards Get $2 Dance Dollars On This Item! 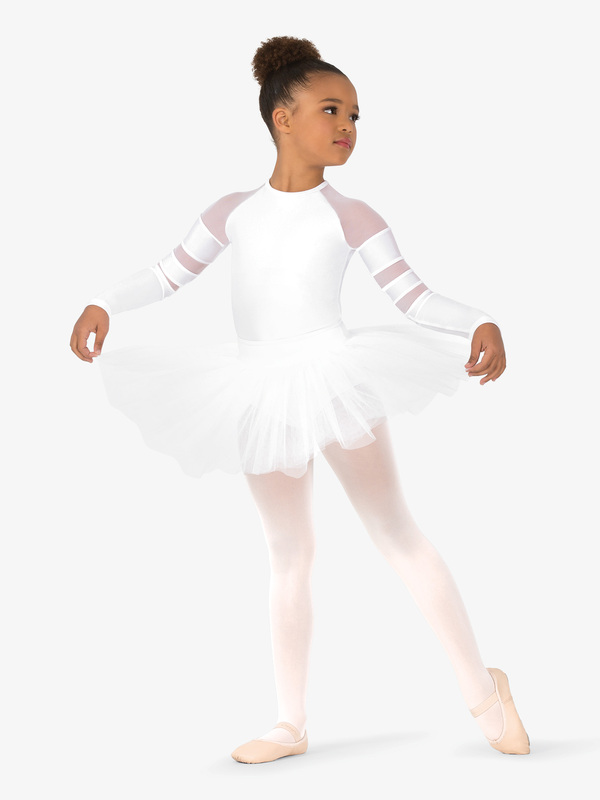 This unique long sleeve leotard features a high neck, raglan sleeves with power mesh stripe inserts, and a hidden back zipper for easy on and off. Leotard has a front lining and a jazz cut leg line. Hand wash cold, hang dry.